Grab is starting to introduce a brand-new cashless payment method – GrabPay by Moca – to bring you swift, seamless and secure cashless payment experience. This is a new cashless payment service launched on Grab App in partnership with Moca – one of Vietnam’s leading mobile payment providers. GrabPay by Moca is a cashless payment solutions provided by Moca. These solutions would be available for Grab services using Moca payment service platform. BENEFITS of GrabPay by Moca? Cashless convenience: Free yourself from the hassle of cash and coins. Safety: GrabPay by Moca uses advance payment security and fraud prevention protocols to ensure your balance and payment details remain safe and sound. Attractive promotions: Receive more offers and get 3 times GrabRewards points. 1. Top up your GrabPay by Moca E-wallet to pay for Grab’s services. 2. 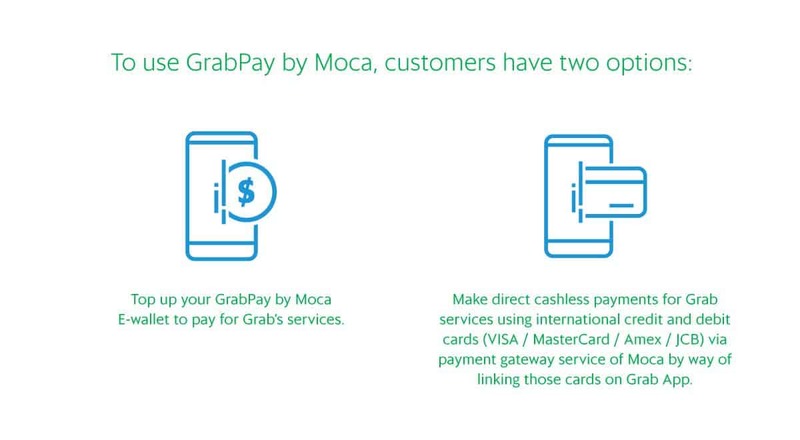 Make direct cashless payments for Grab services using international credit and debit cards (VISA / MasterCard / Amex / JCB) via payment gateway service of Moca by way of linking those cards on Grab App. 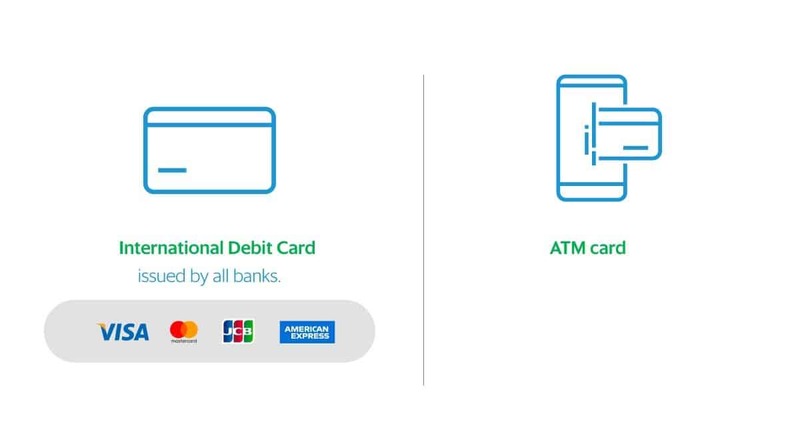 In the cases where activation process cannot be done, the customer can still have the cashless payment options for services on Grab by using the International Credit and/or International Debit Card (Credit/ Debit Visa/ MasterCard/ Amex/ JCB) issued by any banks when adding these cards to GrabPay by Moca account. Under the Vietnam regulations, you cannot top up using Credit Card to To support customers quickly to link accounts with GrabPay by Moca e-wallet on Grab App, Grab will prioritize the linking of ATM cards and stop the top-up process through Internet Banking from 10/10/2018. Customers who use foreign phone number still can make cashless payment for Grab services with their international debit/credit cards (Visa / Mastercard / JCB / Amex) which are directly linked with their Grab accounts. The launch of GrabPay by Moca is implemented by batches and is expected to be completed in October 2018. What is Moca? Do I need to download the Moca app? I previously used GrabPay Credits. What will happen to my existing GrabPay Credits balance? (2) Linking an ATM card from a supported bank, before you can use your existing GrabPay Credits balance (if any). Please note that prior to activation, your app may display your GrabPay Credits balance as ‘0’. However, don’t worry – your balance will be updated as soon as you complete your activation. You can link your ATM card to your GrabPay by Moca account by entering your ATM card number, expiry date and name on card. Please note that you can only use locally issued bank ATM cards from supported banks: ACB, BIDV, HDBank, Maritime Bank, MBBank, OCB, Sacombank, SCB, SHB, ShinHanBank, VietCapital Bank, Vietcombank, VietinBank, VPBank, Timo Powered by VPBank – You can’t link VISA/MasterCard/Amex/JCB debit cards, UNLESS Vietcombank and SCB have issued them. – As per local regulations, linking a credit card to e-wallet is not allowed. What if I don’t have a local ATM card from any of the supported banks? 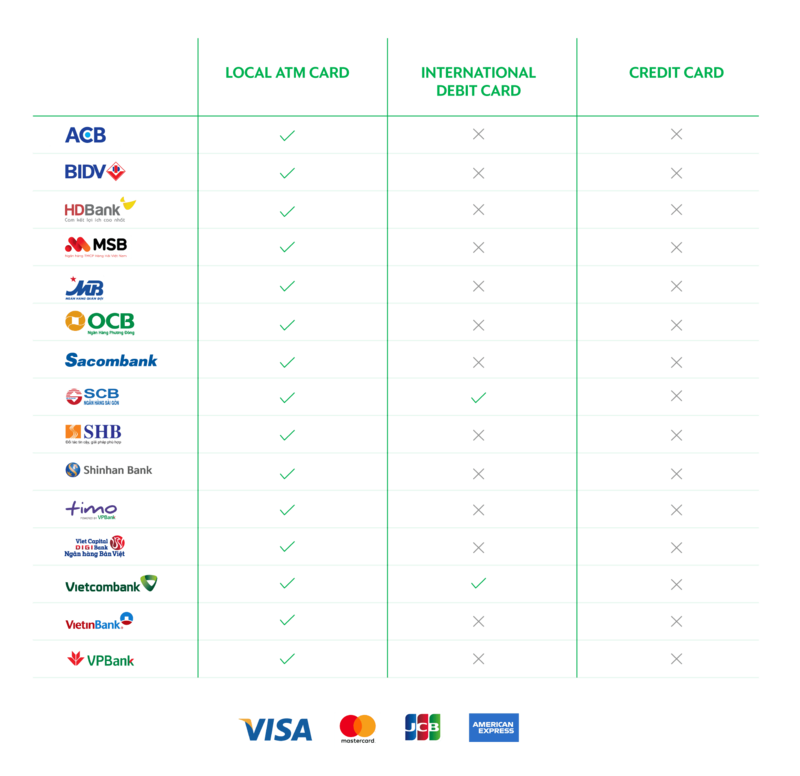 You still can make cashless payment for Grab services with their international debit/credit cards (Visa/Mastercard/JCB/Amex/…) which are directly linked with their Grab accounts to use GrabCar, GrabBike and GrabExpress. At your request, Grab will perform a refund or convert the remaining GrabPay Credits balance to ride promotions. *As per local regulations, the use of credit cards to top up your mobile wallet is not allowed. Besides GrabPay by Moca, do I have other cashless payment methods? Customers still can make cashless payment for Grab services with their international debit/credit cards (Visa/Mastercard/JCB/Amex) which are directly linked with GrabPay of Moca. Currently, cashless payment methods can only be used for GrabCar, GrabBike and GrabExpress. Why am I being asked to verify my phone number and link my ATM card to my GrabPay by Moca account? Absolutely! GrabPay by Moca uses advance payment security and fraud prevention protocols to ensure your balance remains safe and sound. I have a foreign mobile no. Why can’t I activate my GrabPay by Moca wallet? You will need a local Vietnamese mobile number to use your GrabPay by Moca wallet. Foreign numbers are currently not supported. Prior to activation completion, your GrabPay Credits will not be displayed. No worries, any balance on your GrabPay Credits will be migrated to GrabPay by Moca and available for use following activation completion.